Detroit Public Television is sad to report the January 5, 2018, passing of George Riley, for whom the Riley Broadcast Center is named. George’s lifelong interest in electronics, which he mastered in the Navy, led him to open a TV repair business in 1952. That grew into Clover Technologies in Wixom, now the site of DPTV’s studios. When George sold the business, he and his wife Dolores established the Riley Foundation to give back to the community, including many facilities that bear the Riley name, and special outdoor camps for disadvantaged children that continue to this day. 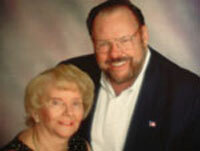 A $5 million gift from the Rileys became the cornerstone of DPTV’s capital campaign in 2005. It’s a vivid demonstration of their belief that public TV improves America’s future through continued education for all. The station he loved reflects his values. We will miss his dedication to service . . . and we’re proud to continue the legacy of George Riley. George F. Riley’s lifelong interest in electronics was nurtured during his service as an aviation and radar man in the U.S Navy. 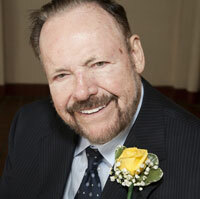 In 1952, George founded Clover Television, a TV repair business that evolved into a national company, Clover Technologies. When the company was sold in 1998, George and Dolores Riley established The Riley Foundation, with a mission to promote the educational development of children. Through The Riley Foundation, George and his late wife Dolores helped hundreds of children from low income families attend summer camp. The Foundation provided the community of Farmington Hills with major funding for a skate park, profiled in the DPTV documentary Taking it off the Streets, and an outdoor archery range. The Foundation also provides tuition support and medical help to young people in need. Their $5 million gift in 2005 -- the largest in Detroit Public Television's history -- was the cornerstone of our capital campaign, reflecting their belief that public television plays a very important role in the education of children and curious people of all ages. 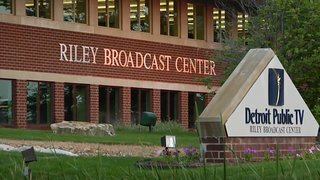 Our Riley Broadcast Center in Wixom – the building built by George Riley’s Clover Technologies which is now the headquarters of Detroit Public Television – is named in their honor. In addition, Mr. Riley gave further support for the new George Riley Studio Reception Area and the employee and volunteer entrance to the building.